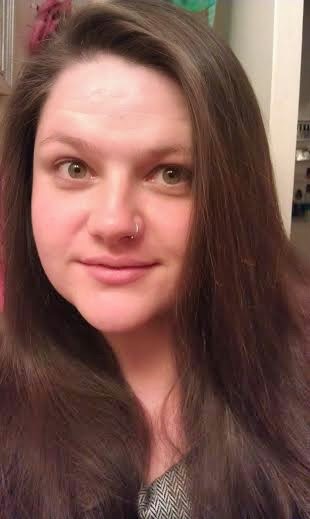 I'm Not Skinny: Skin care in your 30's - or - what the hell is happening to my face! 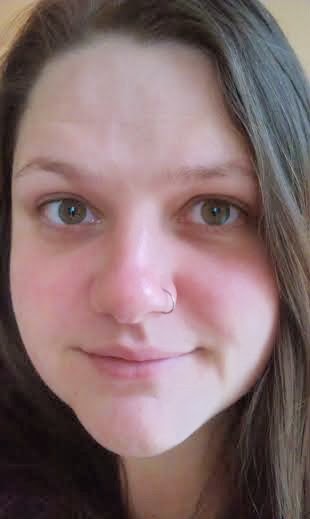 Skin care in your 30's - or - what the hell is happening to my face! My skin has changed. I keep telling myself that it's stress, winter weather or time for a change in my skin care routine. These are lies, or could be lies as maybe it really is just a matter of needing an update on my current skin care products. The thing is I've noticed a change in my skin over the last year. I didn't magically turn 30 last month and wake up with different skin, it's been a whole year of change. My skin is more dry now with the expected 30 years of a stressful life wrinkles. The wrinkles don't bug me at all, I can deal with those but the dryness and the occasional pimples that I've never had before in my life I don't want to deal with anymore. Over the last year I've tried several facial programs and products. I used to be a #2 with the Clinque system, but it stopped helping so I tried #3 which was too harsh. From there I moved on to Burt's Bees Intense hydration with clary sage (mostly because I love sage) but the dryness and even the blemishes persisted. Last month thanks to Influenster I got a free sample of Meaningful Beauty Crème de Serum, which I liked but didn't love. I loved it the first week, but the second I didn't really see any improvement. Week 3 my face started drying back out. No bueno. The last two nights, I've tried Aveeno positively ageless lifting and firming night cream my face is noticeably softer, but who knows how long it will last! The most frustrating part is that I don't wear cover up or foundation, and I don't want to feel like I have to. My skin has always been clear enough that I didn't feel like I had to hide blemishes because they were hardly noticeable or just never there. Now I see them and fixate. They make me crazy. It's driving me mad, plus it's expensive! What are your secrets to great skin? What lotions, washes or masks do you swear by? The best thing that I have found that works for me is a once a week sugar scrub treatment on my face. I have seen huge improvements since doing this. I like simple brand at CVS, I tried it when I got a bunch of coupons and basically got it for pennies. I like the fact that it is more natural and not harsh but cleans without that drying effect. Of course I am waaayyyy past 30, but hey if it works for me you have a great chance of it working for you! I was using the simple for awhile, but stopped over the summer because of the moisturizer not having spf. I usually only use a simple face wash, http://www.drugstore.com/purpose-gentle-cleansing-wash/qxp510880?catid=182291 that one to be exact! Plus the occasional pore strip for my nose. I don't usually have too many problems with blemishes, never really have thankfully! But I get some here and there and they drive me nutso! Skin changes as we age, and as we deal with different stresses in our lives! I like Rodan and fields, but I have started using more natural products as a rule, keeping it simple, and even making them myself. One of my faves is coconut oil. I make my own sugar scrubs from scratch, and I do my best to avoid parabens and all of that, but my face is too delicate for oil (small pores) and most home made facial washes require it. GAH! Damned if I do, damned if I don't. Ok- I am totally on the same boat as you! I actually did a product review for Dr. Fisher Products on my page- I'll try to find the link & add it to the bottom, but he gave us samples of grown-up skin cream even though the post was a baby skin cream post and it seriously changed my skin! I am going to buy it (& I am super cheap) b/c its the only thing that I've found to make my skin look like it used to. I will check out that review, because I'm desperate to find something that works. The blemishes are seldom but the dryness is so persistent that it's actually making me crazy. I've been lucky to avoid most skin concerns. But, I'm turning 40 in just a few days, and I will say I've definitely noticed a change in the last year. My skin is much more dry and I really need to be more aware of sun damage. I have actually had a lot of luck with Burts Bees. I have frequent break outs (still in my thirties! ), and very dry, irritated skin. I just have to always be careful to cleanse, toner and moistruize. I hope you find the right one for yourself! My skin was never the greatest but it's a hot mess, now. It's dry-ish, oily-ish, red-ish, blotchi-ish...Simply put: I hate-ish it! I'm actually on the hunt for something to help but it's so expensive to keep trying a bunch of different products! I have recently started using a wrinkle cream from Ageless Derma and love it. It leaves my skin soft and bright. I have never put any type of skin care product on my face before, maybe it's because I'm a guy but I find my skin is actually pretty fine naturally. With two little ones and one on the way I'm lucky to wash my face let alone treat it so I've no advice I'm sorry! However I have noticed my skin is also more dry and prone to spots lately...but that could be the pregnancy hormones! I didn't have almost any skin problems at puberty. I was really lucky that way. But when I turned 30 I started to get outbreaks. It was really weird. Then I noticed that it was part of my menstrual cycle and the outbreaks would clear out by themselves. I just need to keep the skin clean and try not to eat much fatty food. But I get them anyways, no matter what I eat, they just get worse if I have a lot of fat in the food. I only use Ponds to avoid skin dryness and nothing else. I don't have a sensitive skin so I guess I'm quite lucky or probably because I'm still in my early 20s. Hope you find the right skin care for you! I love Mary Kay I started using the Time Wise collection in my late 20's. Now and again I try something different but I always go back. I also highly recommend their microderm abrasion. AWESOME! I like gentle scrubs, I live with dry skin. I also like a good honey mask. I use plain water, a white towel (I don't put color towels on my face due to the dye in the towels) and I use an astringent afterwards. I was going through the exact same. My skin is going through battles right now. I've been using ageless derma and the cc cream from oil of olay. I think the combo is great. It's expensive though. I think just eating better is the best for your skin. Drinking lots of water too and getting plenty of sleep. Their all quite difficult to do I know. For face wash, I use Celeteque Dermoscience Hydration. That's all. I do not use face creams or other moisturizing creams. Its humid enough here in the tropics. I just drink lots and lots of water and take Vitamin A & D supplements. Skin changes are natural and climatic some time good and mostly annoying. Good in our age we have so many solutions to keep skin healthy, natural and fresh. I believe in home made solutions than commercial chemical based creams and gels. Did you ever tried natural or herbal solutions? I've noticed in the last two years my skin is completely different also. I used to not have to do anything to it and it was perfect. Now I'm breaking out all the time. I'm in your boat I've been trying all kinds of different products as of late! I think hydration is very important. Drink more water and use products that are fragrance free and for sensitive skin. Never forget to moisturizer with petrolatum and shea butter, if you find even slightest dryness on your skin. It also is the right time to list out the supplements you really need in your moisturizer as soon as you touch your 30’s and avoid using harsh scrubs. Ya, I'm just in my 30s and my skin is much harder to take care of. A cool site about how to tighten skin helped me alot, I suggest checking it out.